1947 ? 1960 years: History 1947-1960During pre-independence, the Assam Oil Company in the North-Eastern and Attock Oil company in North-Western part of undivided India were the only oil companies producing oil in the country. The major part of Indian sedimentary basins was deemed to be unfit for development of oil and gas resources. After independence, the Government realized the importance of oil and gas for rapid industrial development and its strategic role in defence. Consequently, while framing the Industrial Policy Statement of 1948, the development of the hydrocarbon industry in the country was considered to be of utmost necessity. Until 1955, private oil companies mainly carried out exploration of hydrocarbon resources of India. Assam Oil Company was producing oil at Digboi, Assam (discovered in 1889) and the Oil India Ltd.
(a 50% joint venture between Government of India and Burmah Oil Company) was engaged in developing two fields Naharkatiya and Moran in Assam. In West Bengal, the Indo-Stanvac Petroleum project (a joint venture between Government of India and Standard Vacuum Oil Company of USA) was engaged in exploration work. The vast sedimentary tract in other parts of India and adjoining offshore remained largely unexplored. History 1947-1960 In 1955, Government of India decided to develop the oil and natural gas resources in the various regions of the country as part of Public Sector development. With this objective, an Oil and Natural Gas Directorate was set up in 1955 under the then Ministry of Natural Resources and Scientific Research. The department was constituted with a nucleus of geoscientists from the Geological survey of India. A delegation under the leadership of Mr.
K D Malviya, the then Minister of Natural Resources, visited several countries to study the oil industry and to facilitate the training of Indian professionals for exploring potential oil and gas reserves. Foreign experts from USA, West Germany, Romania and erstwhile USSR visited India and helped the government with their expertise. Finally, the visiting Soviet experts drew up a detailed plan for geological and geophysical surveys and drilling operations to be carried out in the 2ndFive Year Plan (1956-57 to 1960-61). In April 1956, the Government of India adopted the Industrial Policy Resolution, which placed mineral oil industry amongst the Schedule 'A' industries, the future development of which was to be the sole and exclusive responsibility of the state. History 1947-1960 Soon, after the formation of the Oil and Natural Gas Directorate, it became apparent that it would not be possible for the Directorate with limited financial and administrative powers to function efficiently. So in August, 1956, the Directorate was raised to the status of a commission with enhanced powers, although it continued to be under the government. In October 1959, the Commission was converted into a statutory body by an act of Parliament, which enhanced powers of the commission further. The main functions of the Oil and Natural Gas Commission subject to the provisions of the Act, were "to plan, promote, organize and implement programmes for development of Petroleum Resources and the production and sale of petroleum and petroleum products produced by it, and to perform such other functions as the Central Government may, from time to time, assign to it". The act further outlined the activities and steps to be taken by ONGC in fulfilling its mandate. 1961 ? 1990 History 1961-1990Since its inception, ONGC has been instrumental in transforming the country's limited upstream sector into a large viable playing field, with its activities spread throughout India and significantly in overseas territories. In the inland areas, ONGC not only found new resources in Assam but also established new oil province in Cambay basin (Gujarat), while adding new petroliferous areas in the Assam-Arakan Fold Belt and East coast basins (both inland and offshore). ONGC went offshore in early 70's and discovered a giant oil field in the form of Bombay High, now known as Mumbai High. This discovery, along with subsequent discoveries of huge oil and gas fields in Western offshore changed the oil scenario of the country. Subsequently, over 5 billion tonnes of hydrocarbons, which were present in the country, were discovered. The most important contribution of ONGC, however, is its self-reliance and development of core competence in E&P activities at a globally competitive level. After 1990 The liberalized economic policy, adopted by the Government of India in July 1991, sought to deregulate and de-license the core sectors (including petroleum sector) with partial disinvestments of government equity in Public Sector Undertakings and other measures. 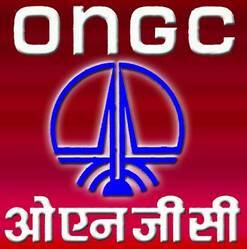 As a consequence thereof, ONGC was re-organized as a limited Company under the Company's Act, 1956 in February 1994. After the conversion of business of the erstwhile Oil & Natural Gas Commission to that of Oil & Natural Gas Corporation Limited in 1993, the Government disinvested 2 per cent of its shares through competitive bidding. Subsequently, ONGC expanded its equity by another 2 per cent by offering shares to its employees. During March 1999, ONGC, Indian Oil Corporation (IOC) - a downstream giant and Gas Authority of India Limited (GAIL) - the only gas marketing company, agreed to have cross holding in each other's stock. This paved the way for long-term strategic alliances both for the domestic and overseas business opportunities in the energy value chain, amongst themselves. Consequent to this the Government sold off 10 per cent of its share holding in ONGC to IOC and 2. 5 per cent to GAIL. With this, the Government holding in ONGC came down to 84. In the year 2002-03, after taking over MRPL from the A V Birla Group, ONGC diversified into the downstream sector. ONGC has also entered the global field through its subsidiary, ONGC Videsh Ltd.
ONGC has made major investments in Vietnam, Sakhalin, Columbia, Venezuela, Sudan, etc. and earned its first hydrocarbon overseas revenue from its investment in Vietnam. Synopsis SynopsisONGC was set up under the visionary leadership of Pandit Jawahar Lal Nehru. Pandit Nehru reposed faith in ShriKeshavDevMalviya who laid the foundation of ONGC in the form of Oil and Gas division, under Geological Survey of India, in 1955. A few months later, it was converted into an Oil and Natural Gas Directorate. The Directorate was converted into Commission and christened Oil & Natural Gas Commission on 14th August 1956. In 1994, Oil and Natural Gas Commission was converted in to a Corporation, and in 1997 it was recognized as one of the Navratnas by the Government of India. Subsequently, it has been conferred with Maharatna status in the year 2010. Over 56 years of its existence ONGC has crossed many a milestone to realize the energy dreams of India. The journey of ONGC, over these years, has been a tale of conviction, courage and commitment. ONGCs? superlative efforts have resulted in converting earlier frontier areas into new hydrocarbon provinces. From a modest beginning, ONGC has grown to be one of the largest E&P companies in the world in terms of reserves and production. SynopsisONGC as an integrated Oil & Gas Corporate has developed in-house capability in all aspects of exploration and production business i.
, Acquisition, Processing & Interpretation (API) of Seismic data, drilling, work-over and well stimulation operations, engineering & construction, production, processing, refining, transportation, marketing, applied R&D and training, etc. Today, Oil and Natural Gas Corporation Ltd.
(ONGC) is, the leader in Exploration & Production (E&P) activities in India having 72% contribution to India?s total production of crude oil and 48% of natural gas. ONGC has established more than 7 Billion Tonnes of in-place hydrocarbon reserves in the country. In fact, six out of seven producing basins in India have been discovered by ONGC. ONGC produces more than 1. 27 million Barrels of Oil Equivalent (BOE) per day. It also contributes over three million tonnes per annum of Value-Added-Products including LPG, C2 - C3, Naphtha, MS, HSD, Aviation Fuel, SKO etc.